Having the ability to see something 10, 20, or 50 years in the future is exceptionally hard. Leaders with a big vision and the resources to help them inch toward their goal day after day are much better suited to achieve big goals than those that only see today and next week. While it is important to see today and work for next week, without an end-goal in mind, your work will be scattered, unfocused, and repetitive. Having and sharing a long-term vision helps the people you serve work harder to achieve the goal. A long-term vision can also easily help you shape the activities you do daily or weekly, without feeling like you are lost. Many times, leaders have the vision in their head, but it is not as clear as they would like. That’s OK. The key is to get the vision out of your head and onto paper, or out to the people. It might not be perfect and might sound crazy but will give hope and belief and relief to the people you serve and help them find ways to conquer with you. Just Remember: The vision can’t be about YOU. We see our blogs as opportunities for dialogue. Please share your thoughts as comments. When will you write your vision down or get it to your people? What do you need to clarify your vision? 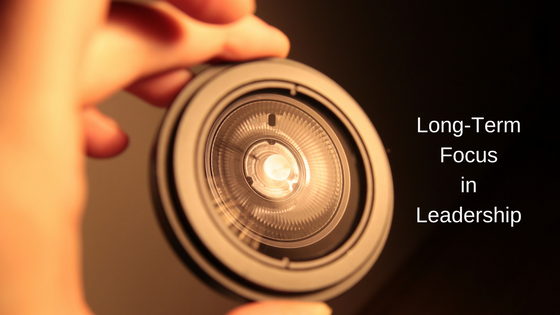 How will your vision benefit your people? Faris Alami is Founder and CEO of International Strategic Management, Inc. (ISM). He works internationally, presenting Exploring Entrepreneurship Workshops and other entrepreneurial ecosystem — related ventures. While there are many leadership styles, we prefer The Servant Leader. It is not like being a passenger in a car. Nelson Mandela was a Servant Leader. He was with the people all the time, not locked in an ivory tower giving orders. He was accessible. He used simple language to communicate with his people. He was one of them. His power grew organically through his direct relationship with the people. How can you become more of a Servant Leader? It happens slowly. Start by listening to your people, learning what they really think and feel. Have empathy, reflect on it, and then act on it. Google “Examples of Servant Leaders” for a list of other people who led this way. 1. 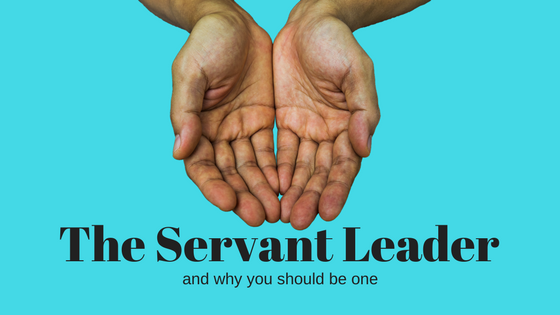 What local examples of Servant Leaders can you name? 2. What other styles of leadership do you like? 3. What can you do today to begin acting as a Servant Leader? We’ve been asked about the 6 domains of Entrepreneurial Ecosystem. Some believe the system is focused on high-tech/high-growth companies, and does not support low-tech or retail or other entrepreneurial activities. We want to dispel that belief. While it is mostly seen through the high-tech/high growth lens, it is a vital source to consider for other entrepreneurial activities, such as opening an office or a coffee shop. Having the ecosystem around it for people, talent, and suppliers will only enhance opportunities to make the endeavor flourish. But in reality, it would only increase the chances of the start-up success if all the components were developed as the entrepreneur starts the business. You also want to keep in mind that the components do not have to be fully developed or fully there for economics to work. It is important to be be aware of them, what’s missing, and work collectively to fill in the gaps. 1. What are other components you believe vital to the entrepreneurial ecosystem? 2. What has been your experience vitalizing a city in reference to these components? 3. Any other examples you may have? Most Economic Development agencies in the past have gone after large companies, offering tax incentives and special arrangements for moving manufacturing or headquarters to their city. The Economic Development teams know that having jobs and cars and people coming through really helps the economic situation of the city. Over the last decade, we’ve seen a change. 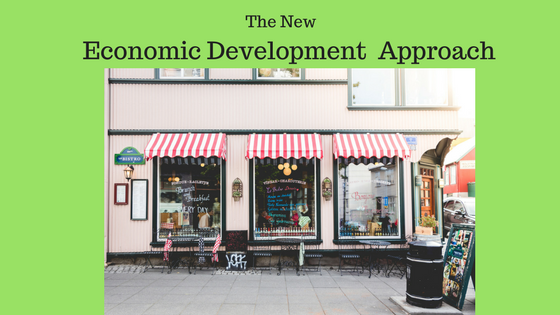 Economic Development has taken a new approach directed at startups and Entrepreneurs, but without much in terms of incentives. While this is may seem counter-intuitive and be a longer process in the beginning, it is actually more rewarding at the end. Entrepreneurs moving into the area is a new way to solve old problems. Abandoned buildings are converted into art galleries, lofts, and even facilities for breakthrough technologies. In the first five or ten years, it looks like nothing is happening, because there may only be three to five people in each organization. This is slow development, compared to the changes you see within months of a manufacturing company setting up shop with 300 people. A better approach for the longevity of the city is an Economic Development approach that attracts entrepreneurs can be incentivized by incubation or acceleration programs or co-working spaces, and adding small funding or cash prizes. 1. What are the advantages of having a variety of entrepreneurs moving into the city versus one large company? 3. What are your thoughts? This is part five of our “Understanding Your Financials” Series. 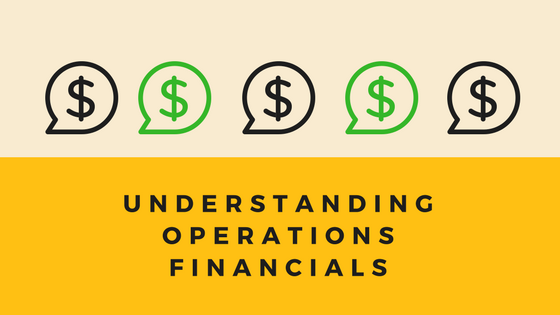 We began with an introductory post, went on to specifics about Sales and Marketing numbers, then a post on financials for Operations, and last week, a post on Understanding Financial Forms. 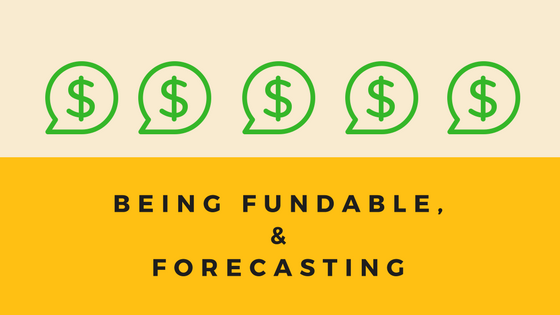 Today’s focus is Being Fundable, and Forecasting. Having a good story — a true story — of your business is an essential factor in funding, especially when seeking local funders. The compelling reasons for starting your business is the basis of a good story, but you also need to be able to project your story into the future in terms of dollars and cents. The first thing you need to know is how to forecast. Forecasts are assumptions that you genuinely create based on your knowledge of your industry, and your experience running the business. Project what will be your revenue, your COGS (cost of goods sold), your market, and other factors. If you understand the percent of revenue in each category, your projections will be easier. If COGS is 60% of your revenue, 15% is marketing and sales, and 35% is general administration, it is easy to project 15% of the next year’s revenue. Your numbers will probably not be so cut and dry or simple. You must know the details for each area, but it becomes easier in general terms. Now that you’ve created a forecast, create milestone funding. Also known as Conscious Funding, the term Milestone Funding is widely used by both Angel Investors and Venture Capitalists. Considering what Milestone Funding shows you, it is a great approach for entrepreneurs to take with their own money. Study this post specific to Milestone Funding. What has been your biggest challenge in becoming “fundable”? What tools have you used to assist in your forecasting? What advice do you have for others in forecasting and seeking funds? 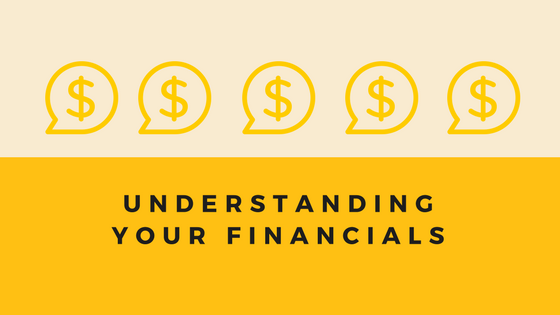 This is part four of our “Understanding Your Financials” Series. We began with an introductory post, went on to specifics about Sales and Marketing numbers, then a post on financials for Operations. Today’s focus is Financial Forms. The “Big Three” financial forms are the Cash Flow Statement, Balance Sheet, and Income Statements. Your accounting software generates them with ease. But what do they mean, and how do you, the business owner, read them? The Cash Flow Statement, in a nutshell, shows you how your most valuable asset (cash) flows in and out of your business at any given point, so you will always know how much cash you have on hand to pay current and future expenses. This report summarizes how much cash was received, how much was paid-out from your checking account registers, your credit card statements, and how the receipt of cash and payments of cash has affected the balance of all your other accounts. A business that does not protect its cash flow may find itself without adequate capital to buy inventory or pay employees. The Balance Sheet concisely reports a summary of the assets, liabilities, and the net worth (owners’ equity) of your company at a specific point in time. Assets are goods (items of value) owned by your company: cash, inventory, equipment, real estate, intellectual property, and money owned to you by others (accounts receivable). Liabilities are obligations that you owe to suppliers: loans, taxes, and outstanding invoices (accounts payable). Owner’s Equity is your sweat, tears, cash you invested in your company, and whether your Equity has been increased by accumulated net profits or decreased by accumulated net losses. Assets minus Liabilities equals Owner’s Equity is not only the basis of your balance sheet information it is the basic method for recording all business transactions in terms of their effect on the various accounts. You should at least be aware that the equation is assets (minus) liabilities = owners equity. The Income Statement (aka Profit & Loss Statement) is a snapshot covering a period such as a month or a year (divided into months), summarizing your revenues (sales), less your expenses, and shows you whether you have made a profit, suffered a loss, or broken even. Your Income Statement should be compared to your monthly budgets every month, so you can gauge if you are reaching your sales goals, controlling your expenses, and earning your projected yearly profits. 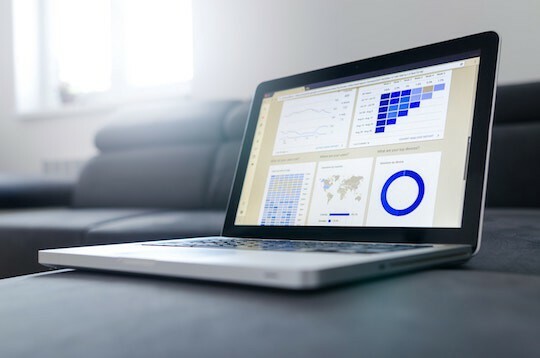 Expenses on the Income Statement are divided into categories which give you an understanding of how and when your assets are being used in creating products and services and generating sales. Variable expenses (Cost of Goods Sold) are listed first under total revenues. This expense category must include all costs to produce services and inventory, such as materials, labor, shipping costs, etc. The next category is General Administration, which includes all the other costs that you incur to run your business monthly, such as rent, accounting, interest payments, legal fees, capital improvements, utilities, insurance, monthly management, and staff salaries, etc. What can be confusing is that there can be payroll expenses in each category. It is important that you or your staff should be placed in the category most appropriate for their activity. For example, if you spend 50% of your time producing inventory or delivering services, and 50% as a manager writing sales proposals, your salary should be split 50/50 in the accounts. However, don’t overdo it, be logical, you’ll be under stress if you start tracking 5% here and 15% there. What do your financial statements tell you about your business? How do you use financial statements in managing your business? What is the most confusing part for you? Understanding the numbers for operations becomes crucial,especially in the growing stage. In the beginning you might get away with not managing the numbers for operations, but during the process, you will burn cash and people as you grow. How long does it take to finish a task, from beginning to end, and how many people does it take to finish a task? Many entrepreneurs under-estimate these two factors, assuming everyone works at the speed or capacity. A new person, or even an experienced person, might be good at one thing, even better than you, but you can’t expect them to work like you. What is the time in terms of process, to get something ready and the space needed to accomplish that task? Does it matter if it’s an office, coffee shop or manufacturing space or in a 10x10 office? Some sophisticated entrepreneurs tell me what it costs per square foot to run day-to-day operations. What other activities need to happen to ensure that your company is running, such as any bookkeeping or filing? While some tasks are not generating revenue, they can kill the operation if not done. What are all the processes in your daily operations? What have you done to document them? What advice do you have for others looking to understand the financial side of operations? Last week we walked through an overview of the numbers you need to understand as an entrepreneur. Today, we’ll drill down to the first of our four categories: Sales and Marketing. Sales and Marketing are often lumped together, but they are not the same. How many people do you need to talk to before they walk into the store? This includes questions like: how many fliers do you need to pass out, how many ads, and how many trade shows must you attend? How many from the trade show qualify for follow-up? How often should you follow up with them? What is the total life cycle of that marketing cycle? If you text someone today, how many times do you have to touch them over how many, days weeks, or months before they walk in the store? Check out this post for more detail. Now that you have them into the store or on the website — how long does it take to close a sale? How long does it take for the selling process? They are different. This is Process: You go to a clothing store, look around, pick out things to try on, try them on, then make a decision. How long does that take? This is Closing the Sale: You go to the register and wait for the clerk to ring up your purchase. How long does that take? The same questions apply online — you click around for a while, make your choices then click “check out.” How long does it take to check out? How many steps does the customer go through? What is your average ticket sale or sale per ticket, dollar-wise? What is the average number of items per ticket? Was there any up-selling or cross-selling? Did they buy pants to go with that jacket? Maybe two? Do you ask for referrals? Do you suggest loyalty programs or demo days, or trials of other products or services? How many customers does it take to support one sales person? What information do you need to track in order to be effective in your marketing? What comments or insights do you want to share? Here is one thing I know for sure: If you don’t manage your numbers, they will manage you. I believe we should manage our numbers every day. There is a big difference between the numbers you need to know and the numbers you give to your tax accountant. It is important, for example, that you understand the cost of making your product. You have to avoid estimating the cost based on false assumptions, then learning later that you are losing money with each sale, all because you misunderstood or miscalculated. It’s easy to point the finger at your accountant, tax preparer, or others, when the real dilemma stems from you not understanding where the numbers belong. 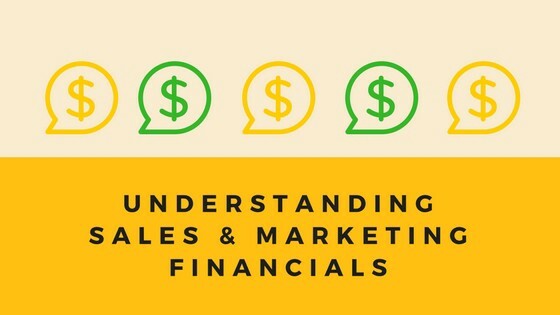 Sales & Marketing: What are the numbers you need to understand, from pipeline to purchase? What numbers do you run daily, weekly, or monthly from a sales perspective? Operations: What numbers do you run daily, weekly, or monthly to keep the business running? Operations are everything from staffing to production costs, once the sales and marketing is done. 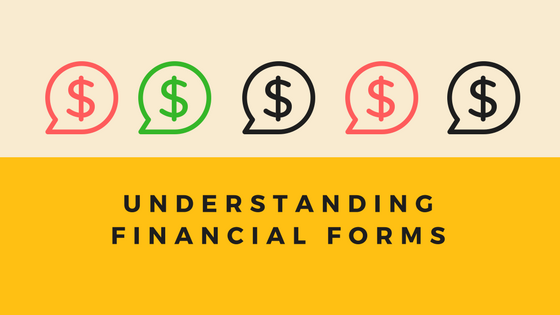 Financial Forms: How do you read and interpret the forms your tax person or accountant gives you? Where should you focus where you are starting up or in growth mode? What have you already done to track your numbers? How effective has your tracking been so far? What suggestions do you have for new entrepreneurs regarding their numbers? Most entrepreneurs grow their business organically at first, but there comes a point where you need additional resources if you are to continue to grow. One of the hardest realizations to come to, according to entrepreneur’s I’ve talked to, is that we put limits on ourselves and what we are able to handle. The proverbial “comfort zone” gets in the way of realizing our dreams. It is easy to point fingers and come up with reasons why your business isn’t growing, but take a bit of coaching from successful entrepreneurs. They say to worry only about what you can control, and stop worrying about what you can’t control. Focus on a new industry or target market — something you have not done before. If you have always serviced medical buildings, think about servicing construction businesses, or educational facilities. This is not an easy exercise as it has a lot of give and take: Group your customers by size, location, or specification. Think about a new market target, or take one of the groups that is less that 10% of your business, and focus on it for growth over the next year. Organic growth is fine, but can only take you so far. Be cautious that you don’t create your own glass ceiling by accepting limits for yourself. What limits have you put on yourself thus far? What have you done to overcome those limitations? What advice do you have for others looking to grow their business?